finches, canaries, parrots, budgerigars, poultry and even ostriches....... in a simple organised manner. 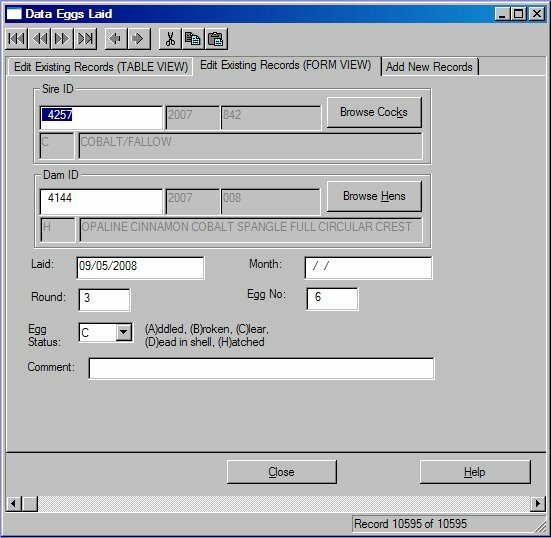 In fact, BIRDREC can be customised by the user for their favourite species to automate much of the data entry to dramatically save time and typing. No more scraps of paper and myriads of disorganised notebooks. 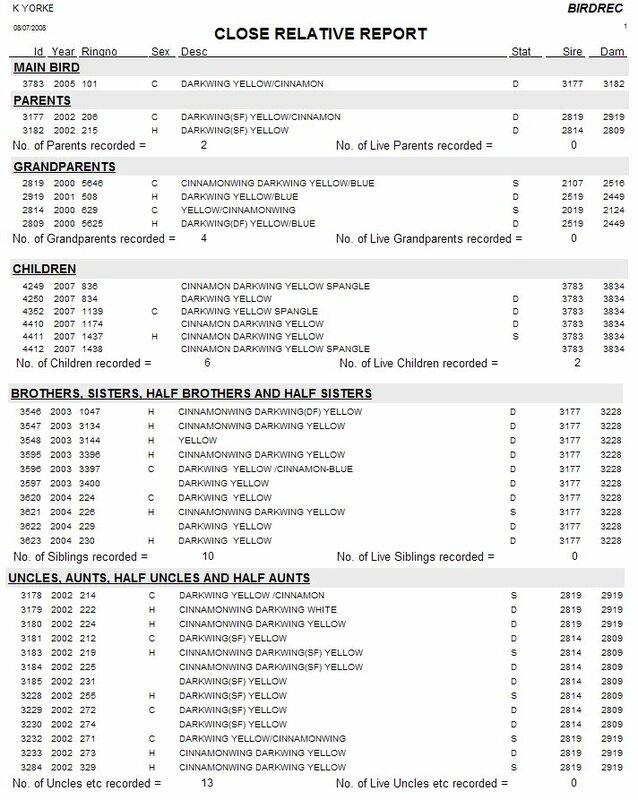 Organised Information at your fingertips. An invaluable tool in the aviary. 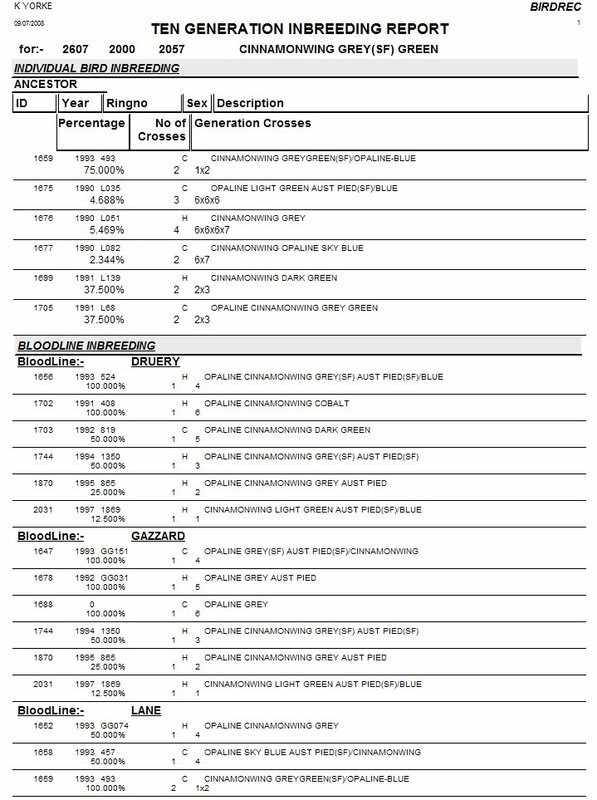 Know what birds you have at a glance including their parents, how old they are, when they were last bred with and more. 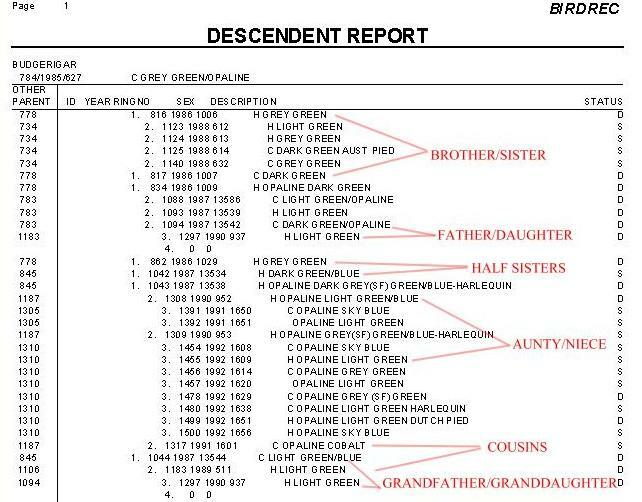 BIRDREC generates reports on pedigrees, descendants, close relatives, bloodlines, inbreeding and even includes a 10 generation on-screen interactive family explorer. 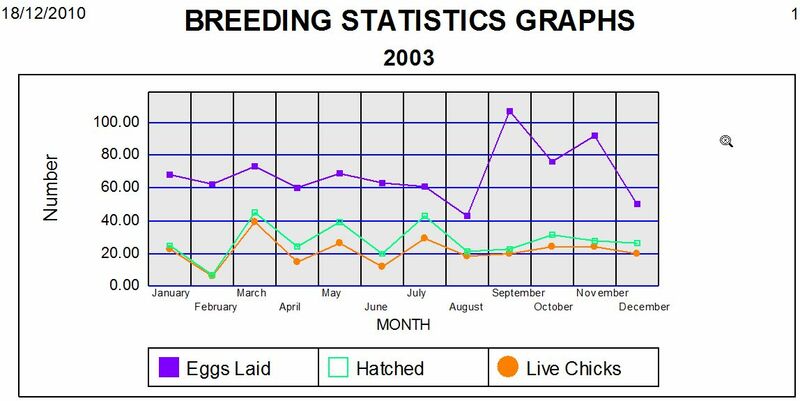 HOW WELL DO YOUR BIRDS BREED? In the last 3 years 80% of young chicks which hatch in my aviary survive to adulthood. An increase from 63% in the previous 3 years. How do I know? BIRDREC told me so. 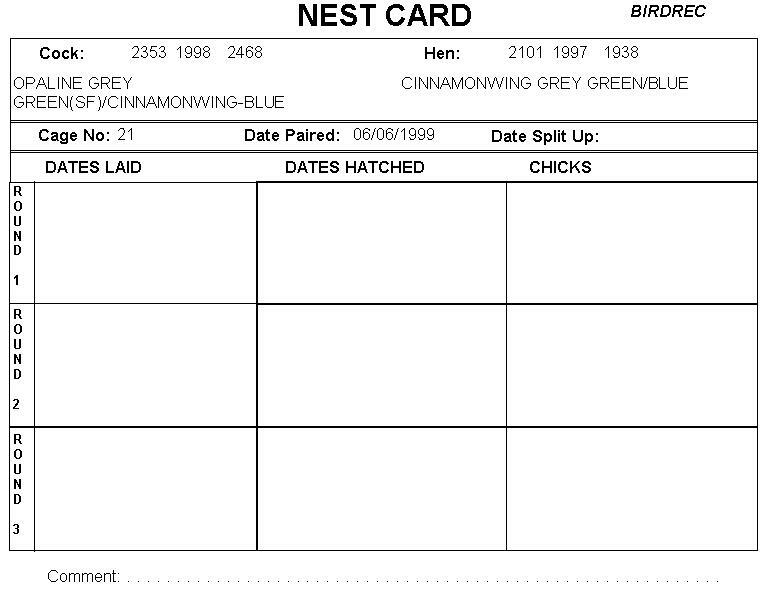 BIRDREC caters for breeding pairs, eggs laid, eggs hatched, chicks, nest box cards, breeding statistics, breeding registers and mating reports. 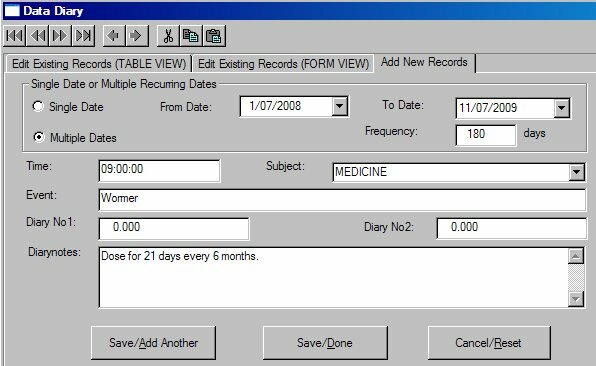 You will never forget medicine routines, feeding routines, show dates, appointments again with BIRDREC's diary features. 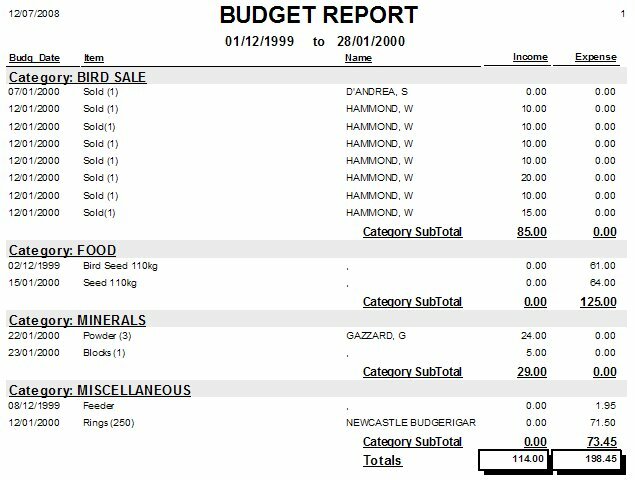 BIRDREC caters for all your income and expenditure including bird sales and bird purchases, feed costs, medicine costs, hardware costs, ring costs, bill of sale, budget reports etc. BIRDREC fully supports storage of images in the following formats:- BMP, PCX, JPG, PNG and TGA. Also partial support (via your own third party photo software) for many other formats. 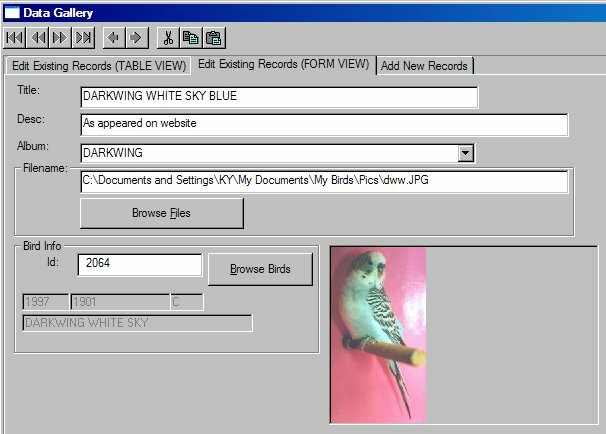 Link the pictures to your bird data. Create photo albums for pleasure or for research. 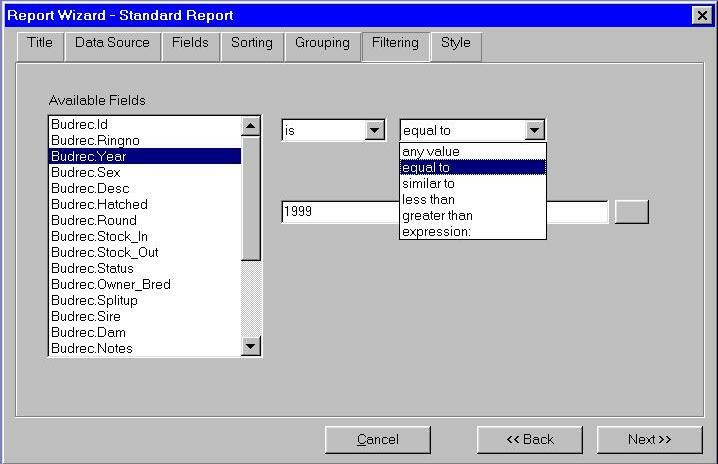 Include pictures in your reports. 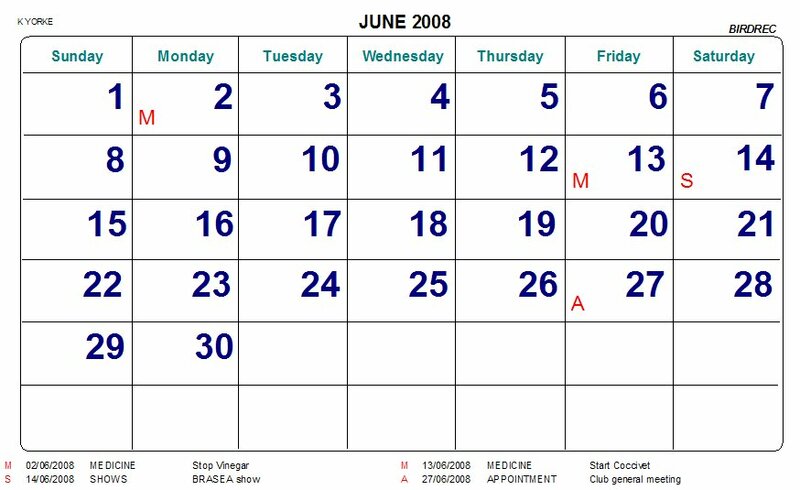 makes it easy to remember names, addresses, e-mails of your bird acquaintances and business contacts. 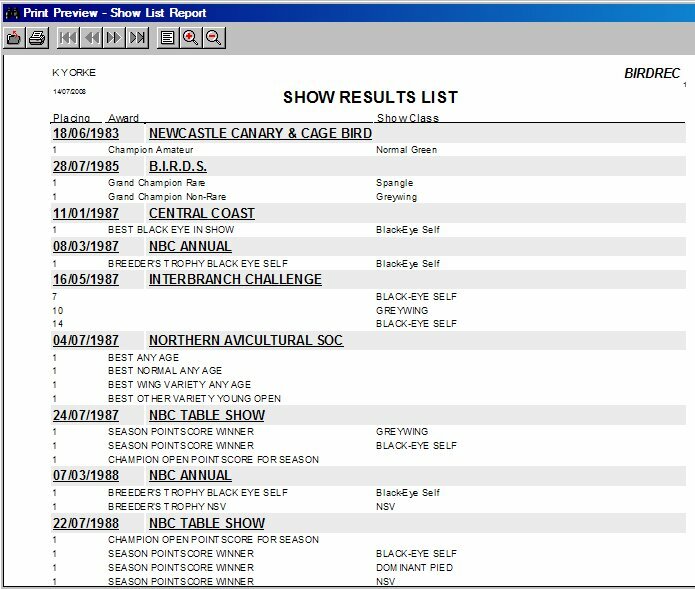 Record those special awards won at exhibitions or even store pointscores for your own birds (in up to 15 different categories) for your own aviary use. 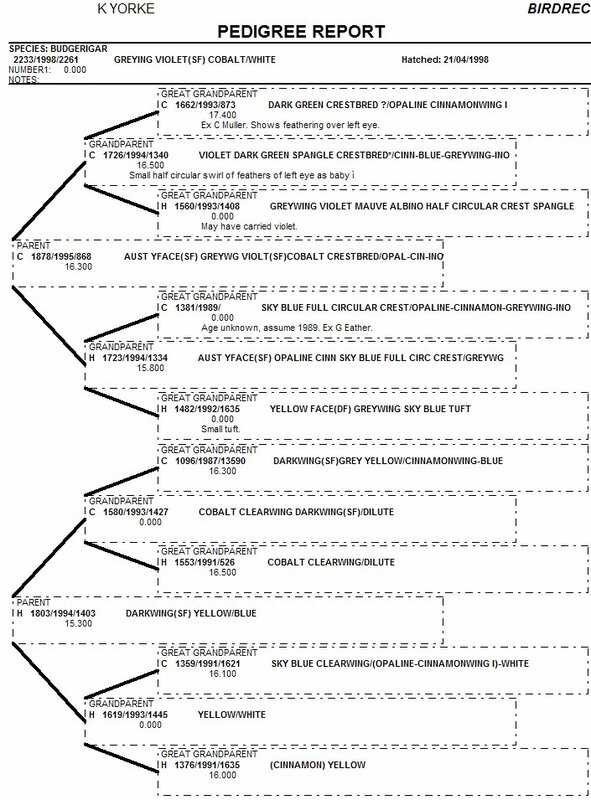 BIRDREC contains dozens of predefined standard reports for looking up and exploring your bird information (we have shown only just a small number of samples on this web page). 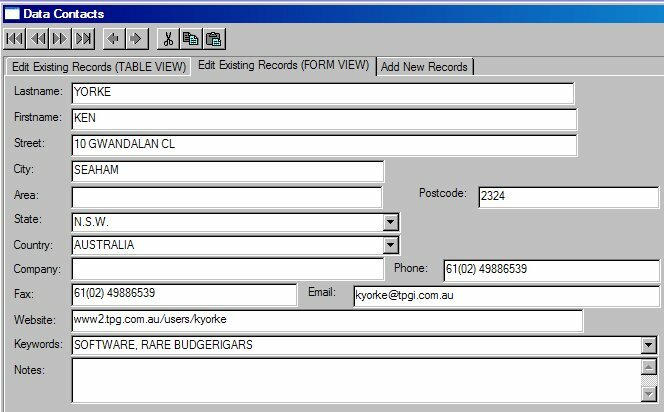 However, if we haven't thought of some specialised report that you need then BIRDEC includes its own industry standard report writer as part of the program (That's a US$250 value report writer provided FREE built into BIRDREC). 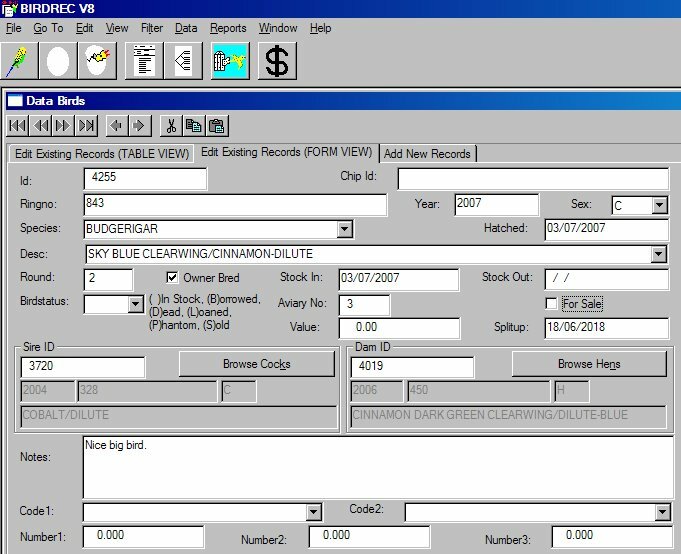 You can create your own additional specialised reports including choice of fields, sort order, title page, subtotals, fonts, images, graphs, adhesive labels, special forms etc, etc. 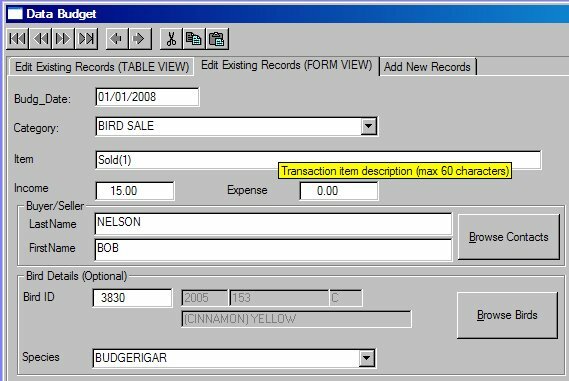 In fact many of the standard built-in reports you can even customise with the report editor to make them even more suitable for your own use. BIRDREC is cutomisable for any bird species and actually learns your bird varieties, descriptions etc as you go. You data is not constrained to standardised names or languages. Backup and Restore of Data for safe keeping. Context sensitive help screens and full on-screen user manual. 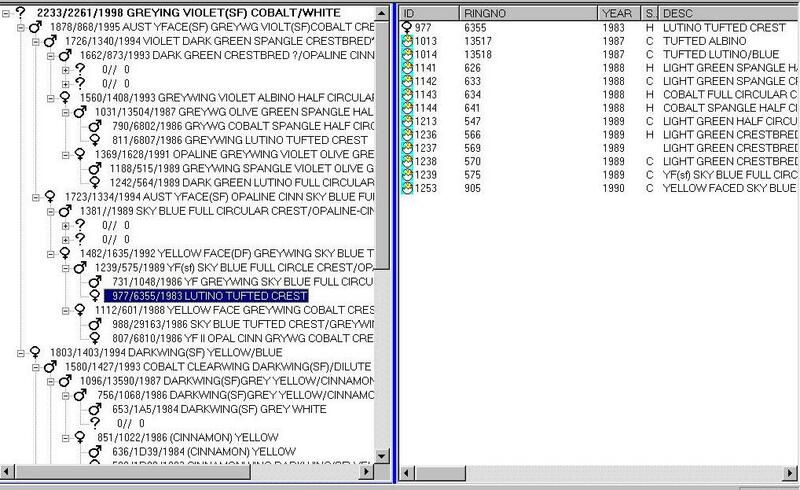 Full data error checking throughout the program - actually goes looking for potential bad data and lets you know. 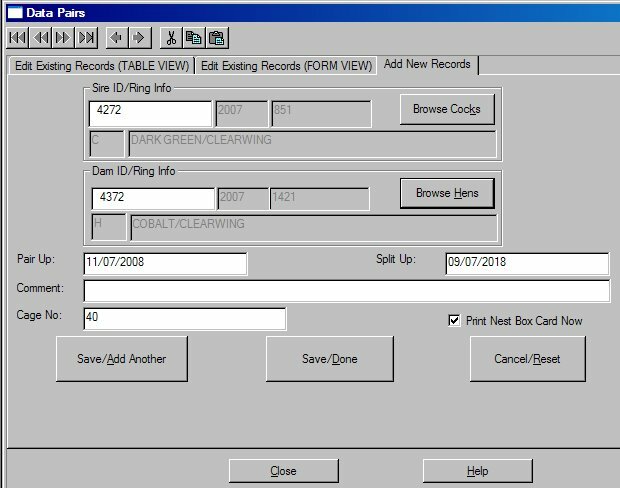 Table views of data (like a spreadsheet) can be fully customised with filters, sort orders, column layouts and your favorite layout can be saved for quick use next time you use the program. 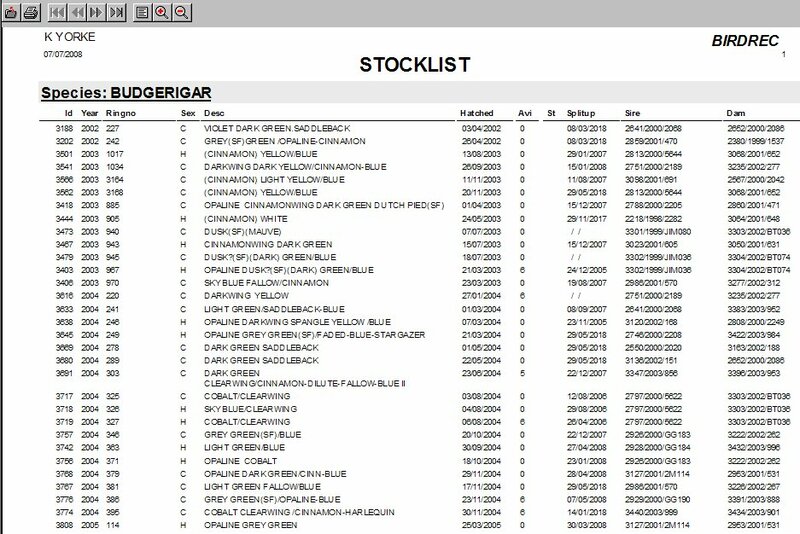 Suitable for aviary businesses as well (including inventory reports for taxation purposes). 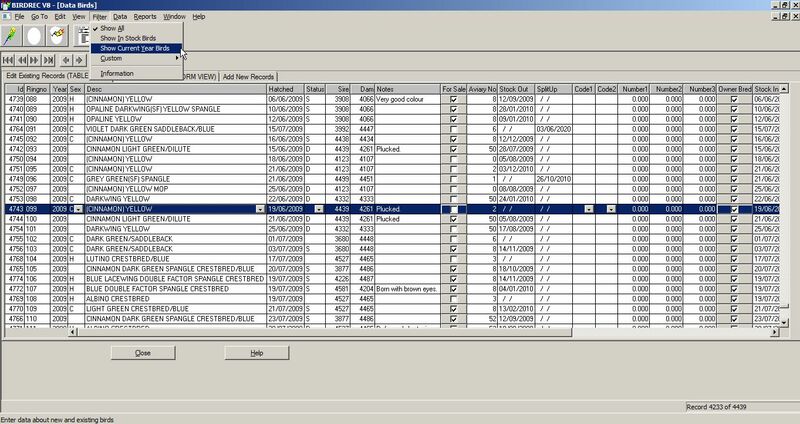 For even more detailed information on this software program view or download the User Manual on the DOWNLOAD PAGE.